The party said it would move court against the agency and its officers after the CBI gave a clean chit to Madhya Pradesh CM Shivraj Singh Chouhan in the Vyapam scam case. NEW DELHI: The Congress today dubbed the CBI a "Compromise Bureau of Investigation" after it gave clean chit to Madhya Pradesh Chief Minister Shivraj Singh Chouhan in the Vyapam scam case, and said it would move court against the agency and its officers. The Congress alleged that the investigating officers "tampered" the hard disc of a computer seized from an accused in the case which, the party claimed, carried reference to the chief minister and several ministers. "The CBI has many names and after what the CBI has said on Vyapam, its name now is Compromise Bureau of Investigation," Congress leader Kapil Sibal told reporters. Sibal, accompanied by party leaders Vivek Tankha and KTS Tulsi, said the Congress would support the whistleblowers in the case and would "investigate the investigator". "It is unfortunate... in a country where investigative agency works one-sided and flouts the rule of law, what will happen to democracy there, one should think," Sibal said. Sibal accused the CBI of "tampering" the hard disc. He alleged that a whistle-blower has filed an affidavit in the court that an IT expert had opened the hard disc and a copy of it was sent to an independent lab, whose report has not been taken into account by the CBI. The party demanded that the hard disc be sent to any international agency for test. "It has now come to this level...we will now have to investigate the investigator. The Congress party will investigate it. We will all get together and charge-sheet them. "We will file a private complaint in the trial court and ask the court to re-investigate. The accuser will become the accused now. The charge-sheeter has to be charge-sheeted," he said. In a veiled threat to those behind giving clean chit to Chouhan in the case, the former Union minister said, "We are watching very carefully as to who is doing what. In the coming times, we also know who is doing what." The CBI had yesterday filed its charge sheet in the Vyapam scam case and claimed there was no truth in the allegations that data files seized by the state police from an accused and having mention of the word 'CM' were tampered. Tankha, the head of Congress's legal cell, said many lawyers would come to the aid of the whistleblowers in the case. Nominated Rajya Sabha MP Tulsi, while referring to the CBI, alleged that he found it strange that "the black parrot which was caged, it now seems its neck has also been broken". He said he has not seen a single case where over 50 witnesses have died, but the agency is unable to ascertain as to who were the beneficiaries of the money paid. Sibal alleged several officers had been elevated by the government to higher posts in the CBI and the NIA disregarding complaints against them. "If you keep your own people and the investigator will not do an impartial probe, you can imagine its result. This threat is not before political parties but also to every individual who speaks against this government, as he will face different agencies. We have never seen such a thing by investigating agencies. 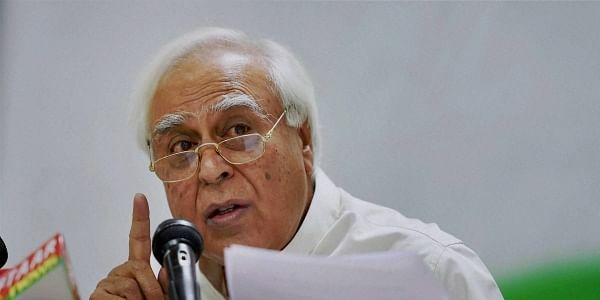 "We in the Congress party will now charge-sheet the one who charge-sheets others and will get together to tell the Madhya Pradesh court to do justice in the case," Sibal said. The former Union Minister alleged that whenever it comes to Congress leaders, the CBI always targets them and it does whatever the government asks it to do. However, it never initiates any probe against the ruling party leaders, he alleged.